I first became acquainted with Roger through my co-worker Megan at ARC Realty. I had admired the quality of his photographs. After his prompt return of my phone call, I also learned that he did the Matterport Photo tours as well. I loved the idea that prospective buyers could not only see quality photographs, but feel like they were taking a physical tour of the home within the virtual format. Right after listing the home, I was able to forward the Matterport Photo Tour to a prospective buyer in Australia whose mom lived right down the street. The couple and their family loved the home and the tour! just to be safe, they asked us to return to do an Iphone FaceTime tour of the home. After the FaceTime tour, they commented that the home was exactly the way it was depicted and they were ready to write an offer on the home - - from Australia! 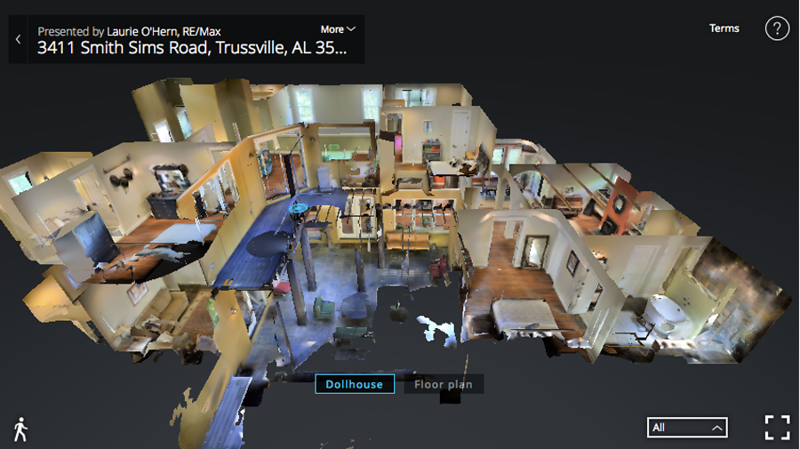 I highly recommend the Matterport tour as it gives clients a superb 360 view and a layout of the rooms in the home. I plan on adding more of these to my ARC Realty and Luxury Properties of the World listings. Thank you RKO Photography!! I cannot say enough good things about the Matterport that was done on this unique but gorgeous home! The pictures didn't do it justice and I knew It needed something a little "extra" So I called on Roger & Kay at RKO Photography. They went out on Saturday morning, had it uploaded Saturday evening and by Monday we had an offer. The buyers were able to "view" the floor plan of the home and visually place their furniture. Then they made an appointment to come out to measure to make sure it would fit as they thought it would. The ease of going from room to room and also being able to see the floor plan on the dollhouse view is such an added benefit for listings. The Matterport and the versatility of RKO Photography allows me to offer each client exactly what is needed to maximize the exposure of their home, find the right buyer, and close the listing quickly.